Recently, Parliament passed legislation to improve access to medicinal cannabis and regulate its production. With the possession of marijuana having been partially decriminalised, discussions about the drug’s full decriminalisation have been frequently raised. Medical scholars and professionals have debated this for hours of airtime – however, such debates seem to ignore some of the more practical elements, including that, irrespective of legality, people have been smoking and consuming cannabis in many forms. It should come as no surprise, as groups and individuals continue to vocalise their support for the benefits of marijuana, that some of those endorsements come from personal experiences. And while there may be many recreational users who go about their lives responsibly, there might be just as many who do not. 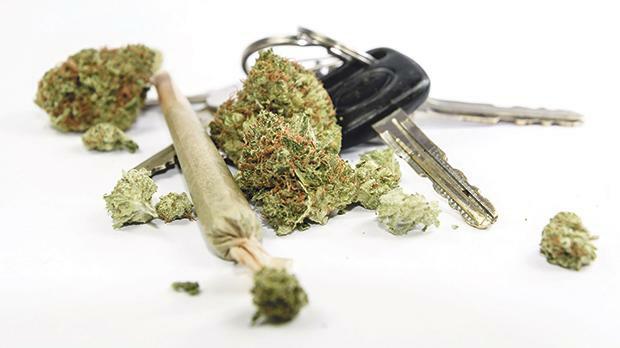 A recent study published by the European Monitoring Centre for Drugs and Addiction and the Canadian Centre for Drug Abuse and Addiction, was carried out to explore the challenges and successful enforcement models of preventing driving under the influence of marijuana. In an era where we seem to be globally moving towards accepting the consumption of cannabis, policymakers need to be prepared for challenges that may possibly arise. Anna Maria Vella, a medical officer at the Foundation for Social Welfare Services – who also serves as the chairperson for the National Centre for Freedom from Addictions – says that while drink-driving is high on the national agenda, recommendations on drug-driving have fallen on deaf ears. “Cannabis use is increasing, so of course we’re having instances of people smoking while driving,” Dr Vella says. The New Zealand Automobile Authority has recently announced that fatal drug-driving accidents have surpassed those that occurred under the influence of alcohol, and pilot studies in France as well as other European countries are gradually testing for the prevalence of drug-driving as a contributor in road accidents. “In Malta, we haven’t even started thinking of carrying out studies that quantify the prevalence of drug-driving,” she adds. In 2016, the President’s Foundation for the Well-being of Society commissioned a study exploring Maltese drug-driving legislation within a European context. The report made 10 recommendations, from the importance of further study to have policy based on scientific findings, to implementing safe enforcement. Dr Vella says that the lack of data is holding the country back in updating legislation. Currently, when major accidents occur, law enforcement must wait for the duty magistrate to arrive on the scene before testing can be ordered and carried out. Lapses between the time that an accident occurs and when samples are taken will ultimately affect results. With such policies in place, it becomes hard to determine where and how there could potentially be a problem, more so when it comes to addressing it. Stigma and taboo have prevented sensible discussion, however misinformation remains at the fore of practical recommendations for driving after having taken drugs. “Alcohol and drugs separately impair driving skills,” Dr Vella says. Reports also say that driving some time after having consumed cannabis is less risky than doing so after having been drinking, however studies also warn that people should not conflate less risk with no riskat all. Education and awareness have not caught up with the practical situation. With a lack of education, policy and enforcement, the phenomenon has no known deterrents. Colorado, one of the first states to legalise recreational use of marijuana, has taken an avant-garde approach to policing. Law enforcement officers are fully certified phlebotomists, meaning they are qualified to safely take blood samples. In the state, cannabis can be bought and consumed as different products – including edibles as well as creams or oils, but when products are taken without a doctor’s recommendation or without properly reading the information inserts, it can be difficult to self-determine when you are able to drive safely. On-site testing has been integral in clamping down on drug-driving and serving as a deterrent to excessive risk-taking. Interestingly, the phenomenon does not seem to exclusively occur in conjunction with cannabis or illegal drugs. “Alcohol is not illegal and taking benzos (benzodiazepine) and other kinds of drugs are not illegal,” Dr Vella says. One might not think twice about having a few glasses of wine on a Saturday night, despite being on medication, yet the effects this might have on your ability to safely drive a car is not always on the forefront of your mind. “This doesn’t remove the onus from a doctor to warn you about the side effects of medication, but ultimately there has to be a degree of personal responsibility. Studies show that making information accessible and efficient roadside testing are critical to reduce drug-driving incidents and serve to inform people of using substances responsibly. Roadside testing, however, can be a costly venture, as the tests themselves would require specialised labs to be built for process and analysis. Personnel would also have to be trained, which means burdening additional responsibility, as well as risks, on to law enforcement. Campaigning is another can of worms altogether. There have been attempts to put something together to the effect of ‘don’t drink and drive’ but the implications become somewhat uncomfortable. As the conversation about cannabis mellows, it becomes worthwhile to consider the effects of legalisation in a much broader context than we are currently. There are several foreign models and recommendations that show that having the appropriate infrastructure before enacting legislation is a more beneficial way of introducing something new to the fore.